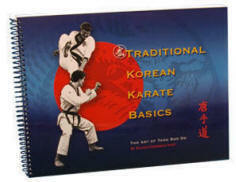 This text is designed for the beginner to intermediate student practicing the Martial Art of Tang Soo Do. The techniques presented cover the requirements for testing from 10th Gup White Belt to 4th Gup Green Belt and include basic hand and foot techniques, Forms, One-Step Fighting, and Self-Defense. The technical material in this text serves as a reference for the student and coincides with the syllabus of Traditional Tang Soo Do International. A brief history and philosophy is also offered that more accurately presents the history, roots, and origins of the Tang Soo Do Moo Duk Kwan style founded by Grandmaster Hwang, Kee than previous books to date on the subject. 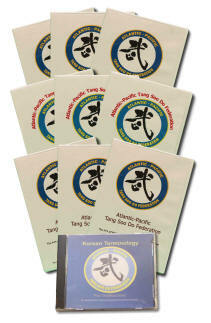 This DVD is must have for every Tang Soo Do practitioner and traditionalist! 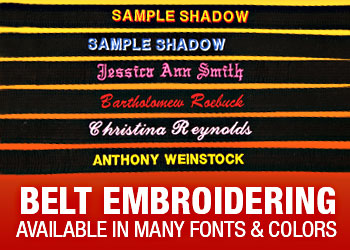 including phone number, mailing address and email address. You may pay by check, credit card, and / or Pay Pal. The Art of Tang Soo Do (Forms, Weapons, Self Defense, Sparring, One-Step/Flow Sets, Terminology plus much more!) A must have state of the art instructional martial arts video series for any serious Tang Soo Do practitioner now available by simply calling or emailing. Hak Won Tang Su Do is a traditional school searching for the purest continuity of Korean Martial Technique and Philosophy. Hak Won Tang Su Do is about Nei Kong, Wei Kong and Shim Kong and its most precious value lies in the transmission of its guiding principles: Culture, Consciousness, Will, Health, Service, and Nonviolence. 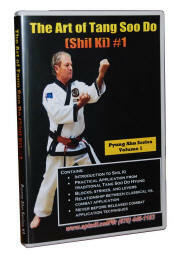 This first DVD illustrates a portion of its technical and philosophical legacy and presents an overview of both basic and advanced techniques including forms, one/two step sparring, kicking combinations, work with traditional weapons and Ki Kong exercises. Grandmaster Darryl Khalid has studied Tang Soo Do for over 42 years. 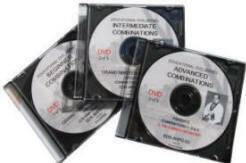 Formulated from his years of travel and study in Korea, Japan and China, each DVD will take you through unique exercises that will unify physical, mental & spiritual health; rejuvenate the internal organs; increase vital Chi flow and enhance physical flexibility. 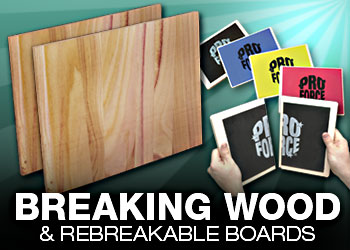 The exercises are easy to learn and suitable for all ages.